Working in the civil and environmental engineering field for 30 years, Mr. Bassett has studied, designed, bid, and provided construction phase engineering for scores of water, wastewater, land development, road, bridge, and industrial projects. Completed projects cover feasibility studies including Act 537 Plans, wastewater collection systems, pump stations, treatment plants and sludge disposal systems, as well as water supplies, treatment facilities, storage tanks, pump stations and distribution systems. He has designed numerous innovative and alternative systems, including one that won the 2013 American Academy of Environmental Engineers and Scientists Superior Achievement Award. On most of those systems he also supervised the bidding, construction, and start-up phases. He helped write three Water Environment Foundation Manuals of Practice including Nutrient Removal, Design of Municipal WWTPs, and Process Modeling. 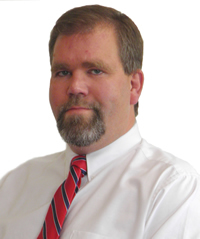 Mr. Miller has over 25 years’ experience in the Civil Engineering industry. He has experience in Land Development including residential subdivisions, commercial, industrial, institutional, road layout, drainage design, and sanitary systems, erosion control design & NPDES permitting.